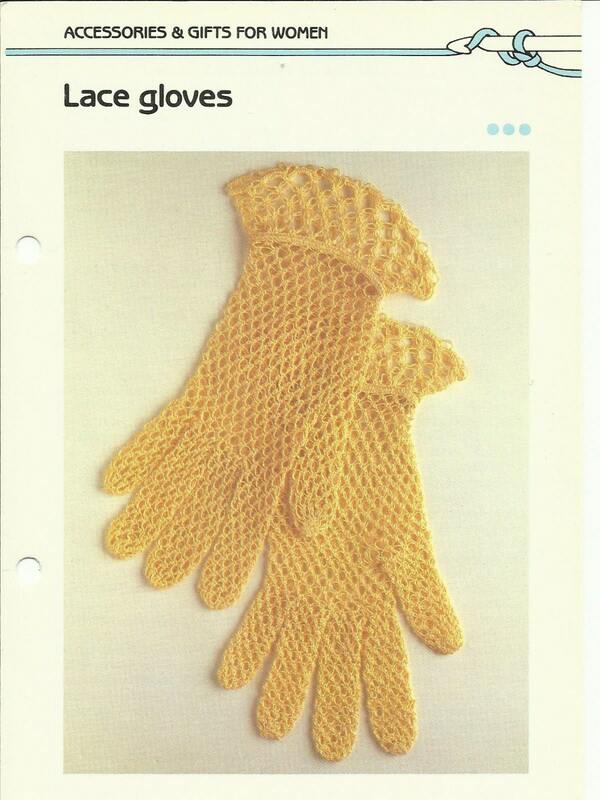 These lovely lace gloves are crocheted with an elegant stitch called Solomon's knot. They would be a great accessory for a dressy function. This digital download is a FULL COLOR pdf which includes not only the pattern, but also instructions for the Solomon's Knot stitch, and even a section on how to make an elastic cuff. The pattern has been digitized from a 1980s Golden Quick N' Easy crochet book for your downloading pleasure. The pattern is marked INTERMEDIATE on their scale of skill, and uses crochet thread and a steel hook. The pattern makes note that while the instructions are given for 'the average hand' these will stretch to fit most women's hands and can simply be washed to go back to their original size.